When you have an unexpected air conditioning problem, your first concern is to fix it as soon as possible. After all, you can be without an air conditioner for about fifteen minutes in a Florida summer before your life takes a dramatic turn for the worse. Don’t compound the situation, however, by going with the first air conditioning contractor you come across. A major repair or new installation can cost thousands of dollars, and you need to be careful who you choose to do this work for you. Which AC Service: Maintenance, Repair, or Replacement? 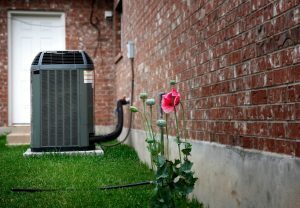 While many homeowners recognize the importance of an optimally functioning air conditioning (AC) system, many cannot distinguish between maintenance, repair, and replacement services. Each of these processes requires a different approach, and understanding these differences can be vital not only for extending the life of your AC system but for saving you money and time. At The A/C Guy of Tampa Bay, Inc., we specialize in all three of these services, which are often in demand due to the Florida heat. In this post, we’ll give a brief overview of each of these approaches, highlighting the importance of each approach as well as when it’s appropriate to use. Posted in Air Conditioning | Comments Off on Which AC Service: Maintenance, Repair, or Replacement?